The opening salvo of my Locus Quest were a bit hit and miss. If you’ve never read any Connie Willis before – Passage probably isn’t the best place to start. And I say that as a fan. I’ve since read To Say Nothing of The Dog and Doomsday Book (and loved them both) but if I hadn’t been working my way through a specific reading list, I’m not sure I’d have given Willis another chance after Passage. So why only two stars? I promise, I’m not naturally stingy with my stars. 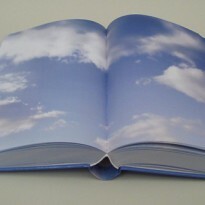 To me, those common elements of Willis’ writing style which work so effectively in her Oxford Time-Travel books (bureaucracy, late messages, tragic death, meandering mystery) act in those stories as a sort of grounding mechanism and counterpoint for the danger or romance of the time-travel adventure. 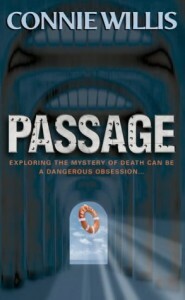 In Passage, the ‘adventure’ is a scientific investigation into markedly morbid terrain and, in my opinion, applying the same techniques just doesn’t work. This time around I found the bureaucracy grating, the late messages petty and the meandering mystery not particularly mysterious and mostly just frustrating. For a sci-fi award winner, there really wasn’t much (any?) in the way of classic sci-fi elements. The ending was vague, symbolic, but ultimately unsatisfying. And for significant periods progress became a sort of grit-your-teeth and trudge. Masie Nellis, the sick 9-yr old girl, is such a loveable and memorable character that she practically earns that second star on her own. But I won’t read this one again. If anybody would like to see if they fare any better, let me know and (for a couple of quid donation to a good cause of your choice) this book can be yours, otherwise Passage is looking at a one-way ticket to the local charity shop.